Setting up a phone system has never been easier. Easily customize your business phone system features through a beautifully intuitive interface. Telzio enables you to effortlessly navigate and configure settings for your phone system with Call Flows. A Call Flow is the collection of features and rules you have decided to use for a given phone number. 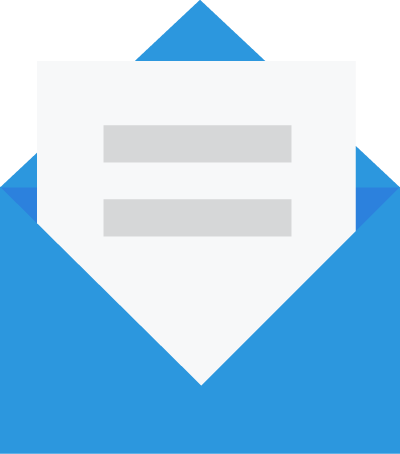 You can add sophisticated features to your Call Flows to manage incoming calls such as business hours, phone menus, hunt groups, call queues, conference calls, and voicemail. See an entire visual overview of what callers experience when they call your business. Customize advanced features in minutes without any hardware or programming. Instantly manage and configure multiple phone numbers as a group. 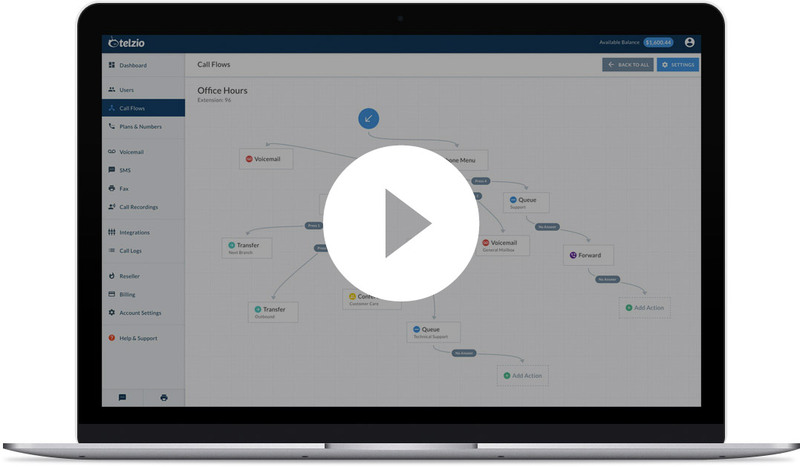 Label Call Flows and features so you can easily manage complex Call Flows for multiple offices and numbers. Building your Telzio phone system is a visual experience. Call Flows are useful anytime a phone number is being used for more than simply directing calls to one user. Call Flows enable you to manage multiple features and advanced call routing options. 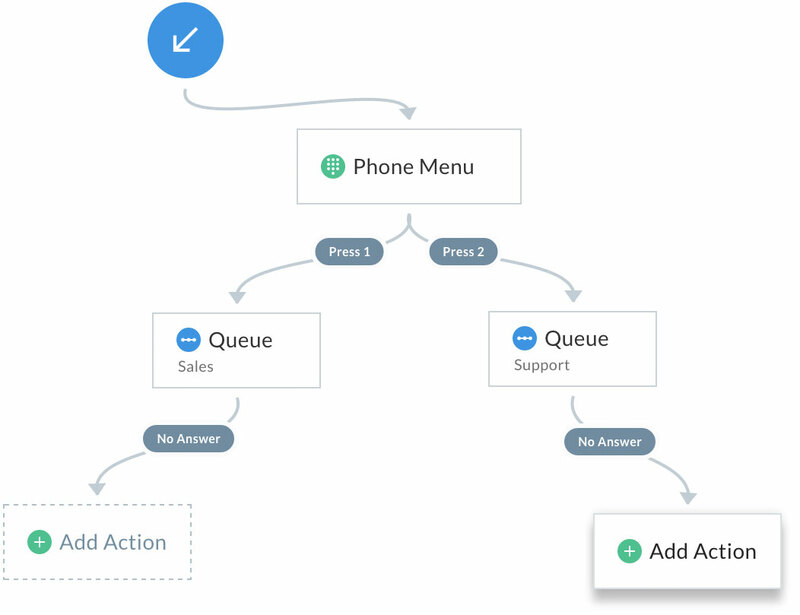 A Call Flow might start with a phone menu, which greets callers with options to be connected to the right place (i.e., press 1 for sales, press 2 for support). The next step would dictate the routing rules for each option, and direct callers to the various departments. Each option, or department, appears as a separate route in the Call Flow, where you can add hunt groups and see where to guide callers next. Can I add more than one Call Flow? Yes! You can add an unlimited number of Call Flows as part of your Telzio service. You can assign multiple numbers to the same Call Flow, which means you can instantly configure multiple phone numbers as a group. Can I switch between Call Flows? Yes! You can create special Call Flows for holiday hours and switch between them instantly as needed. We also have business hour filters that you can add in a Call Flow to automate time-based routing.